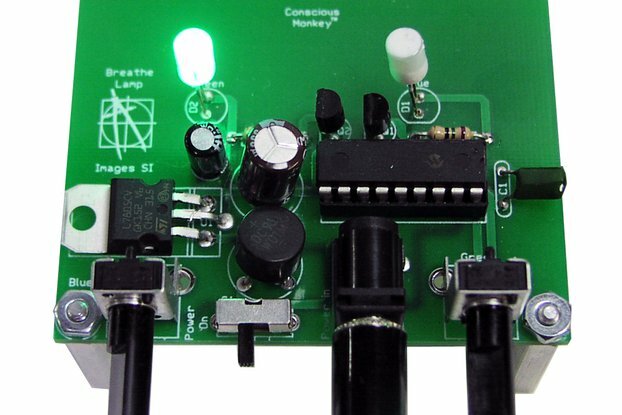 The ESP/PSI Tester kit is an interesting human input Random Number Generator (RNG) device that may be used to check ESP / PSI. We are committed to bringing the best electronics and science equipment to students, educators, creative professionals and consumers around the world. 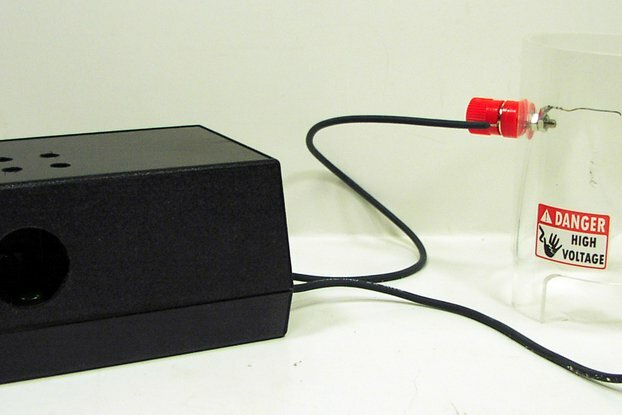 The ESP/PSI Tester kit is an interesting human input Random Number Generator (RNG) device that may be used to check ESP / PSI, and the mind's ability to influence (psychokinesis) and forecast random events. The ESP Tester uses a momentary contact switch that a user presses to generate true random numbers. The 16F88 PIC microcontroller in the ESP tester is spinning numbers at approximately 1,000,000 numbers a second. The instant the microcontroller sees the user press the momentary contact switch, it stops spinning numbers, the current number is selected as the random number. The RNG's output is connected to four different colored LED's. Depending upon the random number generated, one of the four colored LED's is lit. 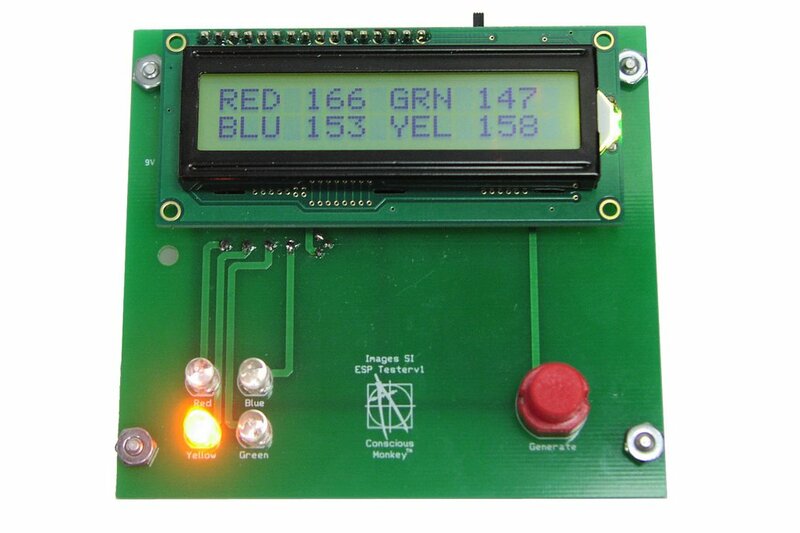 The 16x2 LCD keeps a running tally of the random numbers generated for different PSI tests. While this setup might appear trivial, it is not, and may be used to accurately test for different aspects of ESP. Random Event Generators (REG) are similar to RNG and sometimes the terms are used interchangeably. The included manual explains how to perform different ESP and PSI experiments. The PIC microcontroller Random Number Generator source code is included in the manual. 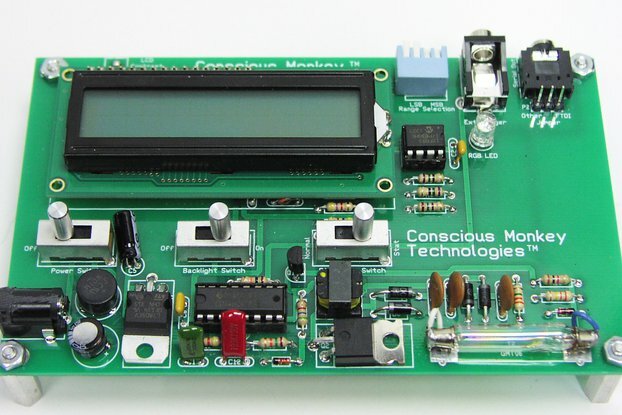 MSRP $39.95 for ESP Tester Kit (requires assembly and soldering) Kit contains: PC Board, LCD screen, preprogrammed PIC microcontroller and all necessary components for construction.